Voice overs from voice over talent for narration services, commercial voice overs, radio imaging, voice mail greetings, and more. 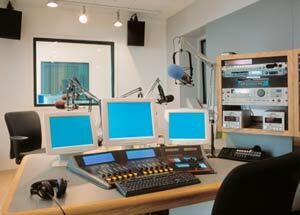 Find the "right" radio imaging voice over talent for radio station imaging voice overs. If you need radio imaging voice overs; voice over talent who specialize specifically in radio voice overs, they can be found here at "Radio Station Imaging Voice Over Central". We are your one stop voice over talent resource to listen and choose the best performers for voice overs for your radio station use. The are many different uses for radio imaging voice overs including: radio jingles, radio sweepers, ID's, radio promos, DJ drops and the like for either Internet radio or terrestrial radio. You can even order radio voice overs with or without full production, right here online. We invite you to listen to our Radio Imaging Voice Over demos and choose from the voice over talent below. Then, fill out radio imaging voice over rate request form to get a quick quote. We offer FAST turn-arounds! The place to shop for professional voice talent. Copyright © Marketing Mania, Inc. Designed by Marketing Mania, Inc.